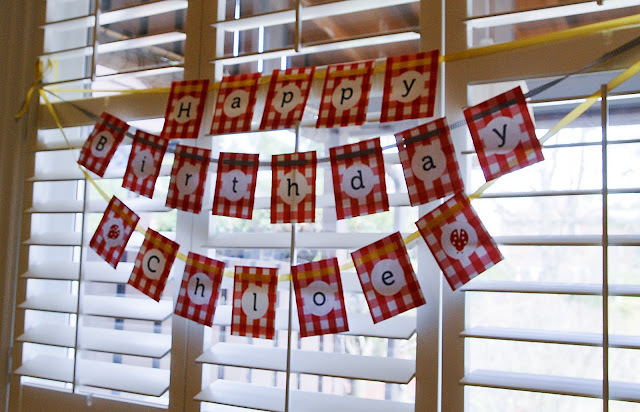 Chloe's birthday week celebrations have wrapped up and we had a fabulous time! 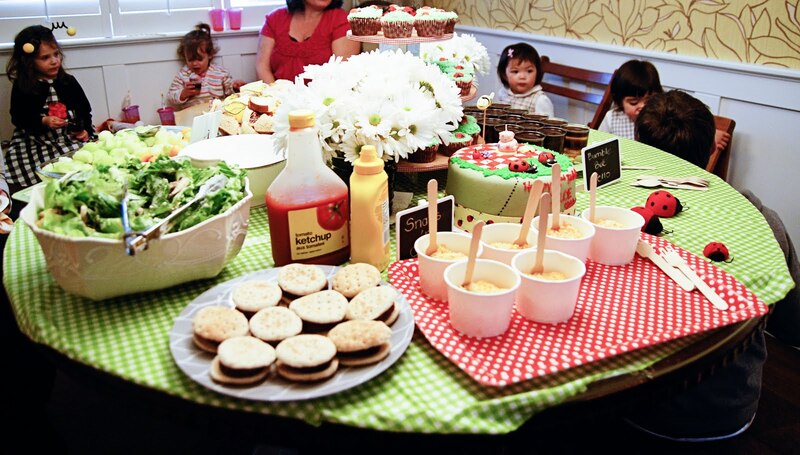 We managed to squeeze around 40 adults, kids, and babies into our humble abode on Saturday. It was so much fun, and actually felt quite cozy though people and toys were EVERYWHERE. Here's some pics from the two parties. 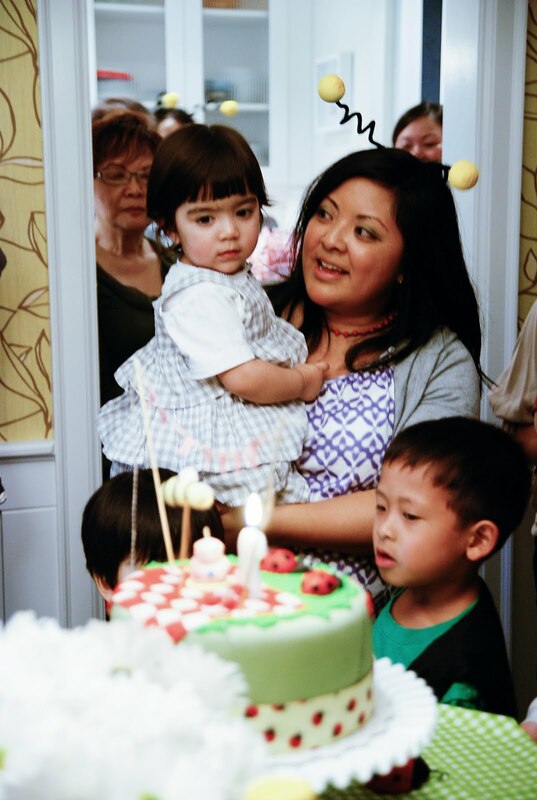 Unfortunately, we were so busy getting food together and meeting and greeting that I missed taking some shots like a pic of the loot box goodies, more pics of the birthday girl with guests, and a family photo (argh). I'm sure you parents can relate. 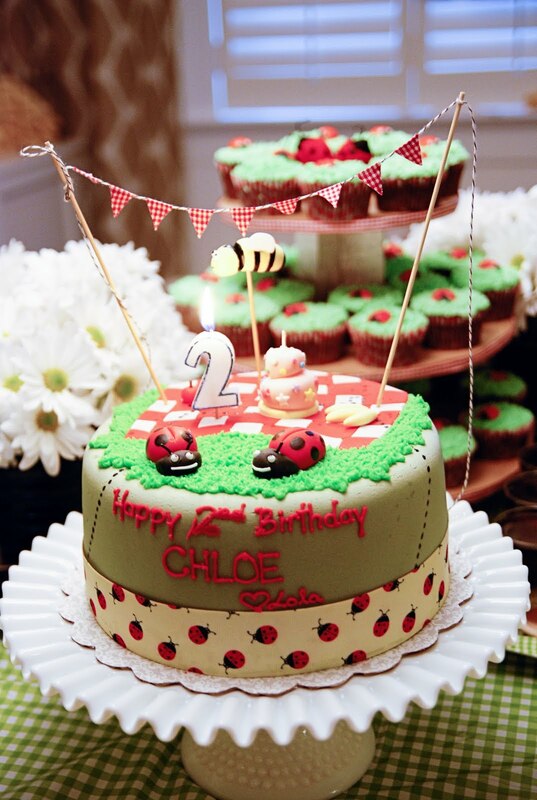 Chloe's invitations really got everyone in the mood for a "little bug picnic". 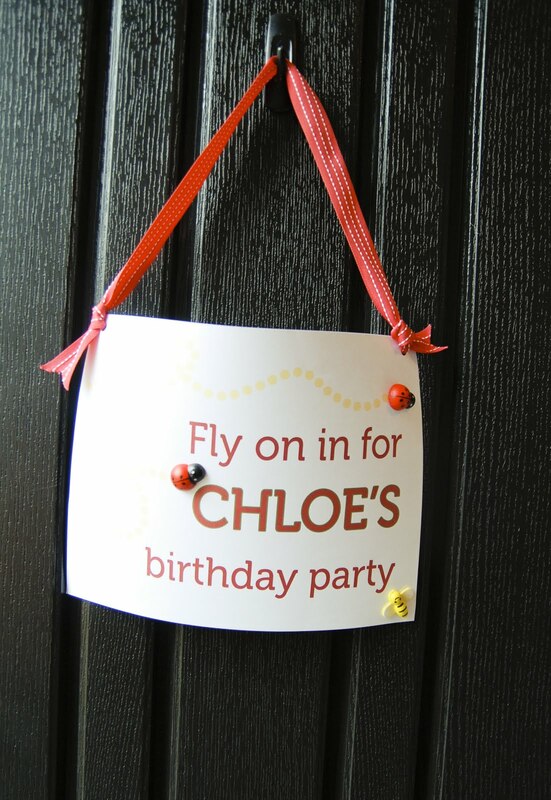 A sign greeted guests at the door and we invited the wee ones to "Come bee a bug!" 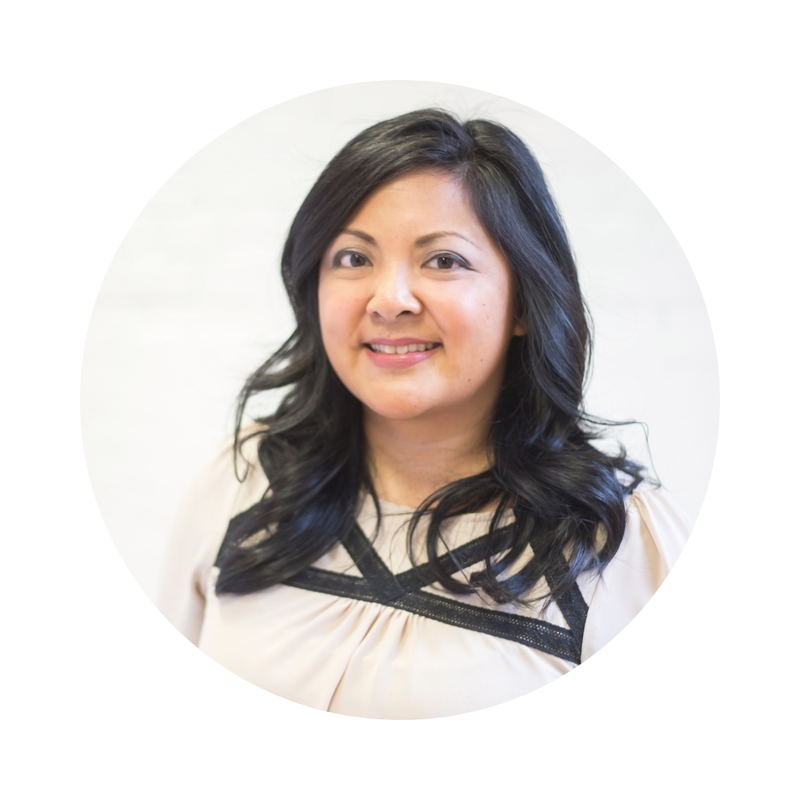 by wearing one of the bumble bee headbands. 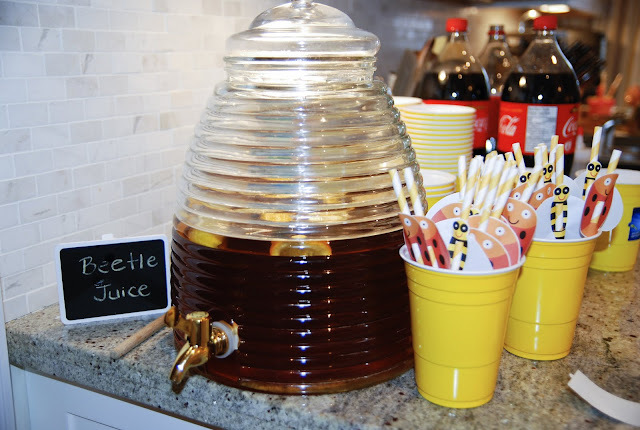 There were lots of buggy decor details, like the DIY ladybug banner, the bug and bee straw toppers, and the beehive drink dispenser (filled with ice tea "beetle juice"). The loot boxes contained some plush bean bag bugs, "Buzz-bles!" labelled bubbles, insect finger puppets, magnifying glasses, and tattoos. 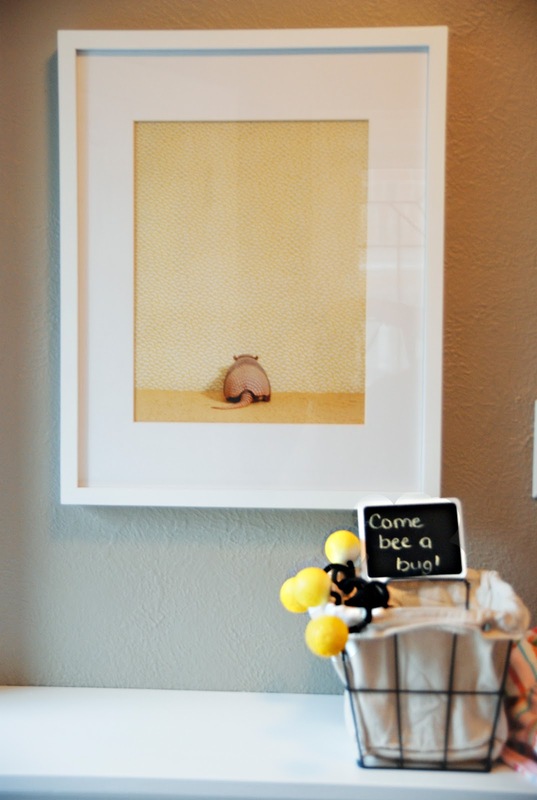 Activities with the kiddos were a bit of a hit and miss. 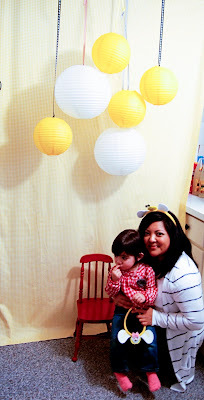 I made a little photo booth and managed to get solo pics of each of the Nanny kids but the birthday girl was having none of that :( And then there was the DIY frog cutout for the bean bag toss game. I found a frog pic online and HandyMan printed it, mounted it on a piece of 1/4" MDF, and cut it out with a jigsaw. He then made slightly angled 1/4" cuts into two pieces of scrap wood to hold it up. 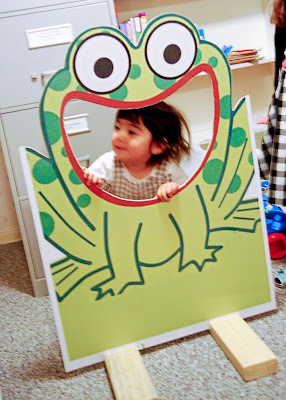 It was pretty cute... most of the kids liked tossing the bean bag bugs into the froggy's mouth... and then the cutout turned into an impromptu photo cutout! Then there was the cake!! I wanted a small cake for candle blowing and was surprised by my mom and aunt with THE MOST adorable cake I had ever seen. 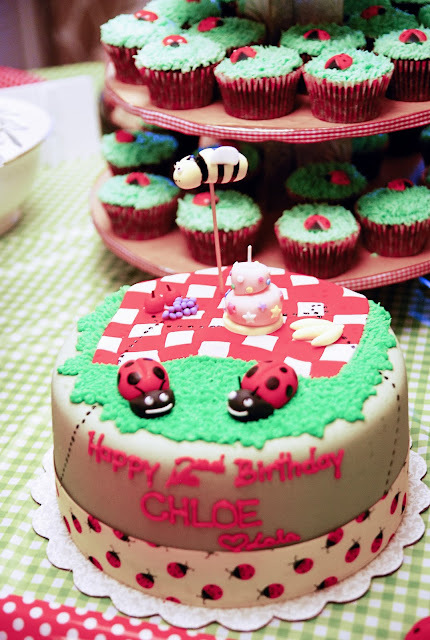 The cake was made by Gladycakes. Glady is my aunt's goddaughter and I had asked too late to make the cake and unfortunately she was already booked up. 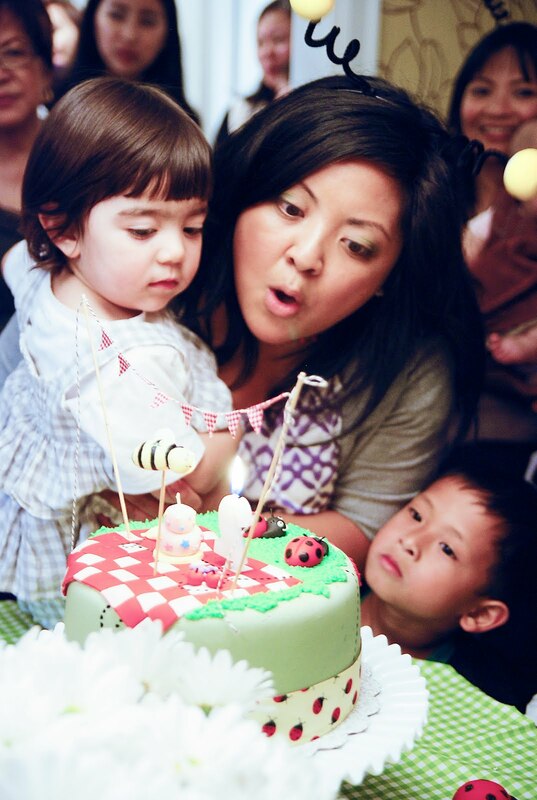 I was resigned to getting a store bought cake but I told my mom my dilemma and unbeknownst to me she called my aunt and my aunt convinced Glady to make the cake! 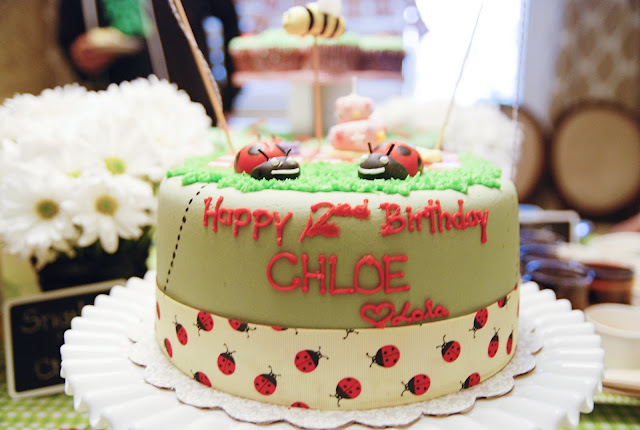 So thanks to her Lolas (or "grandmothers), Chloe got a little bug picnic cake. 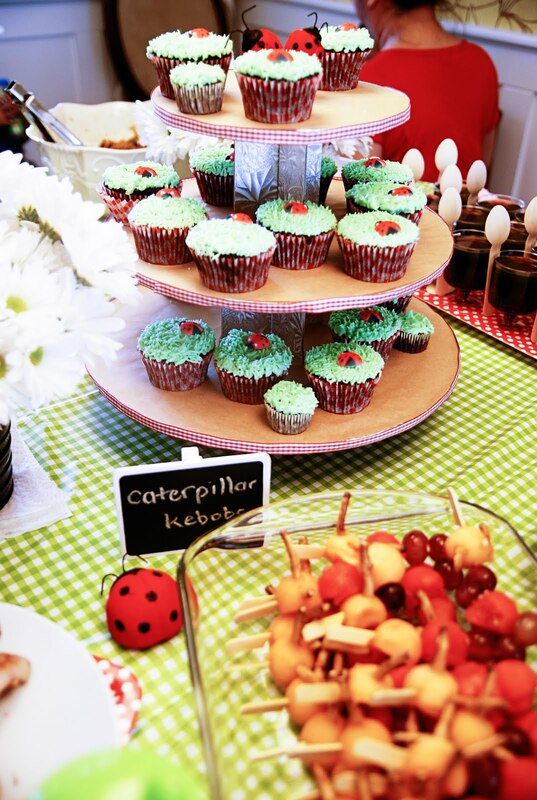 I loved all the cute details - the picnic blanket, the grapes, the ants! - and it went perfect with my itty bitty bunting. 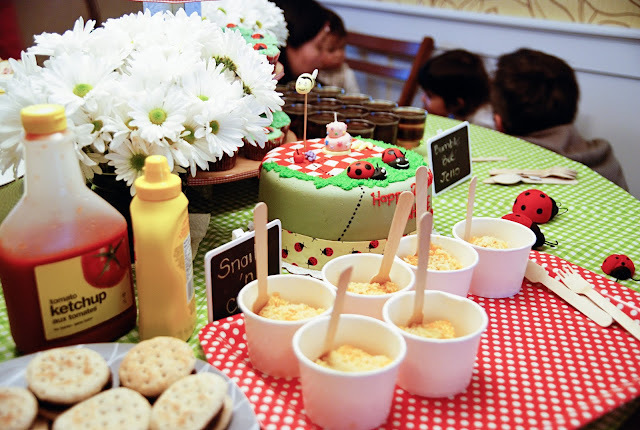 The rest of the table was set with bug-themed food: Snails 'n cheese (baked mac 'n cheese), ladybug cupcakes, striped bumble bee jello, caterpillar kebobs (balled fruit on skewers). 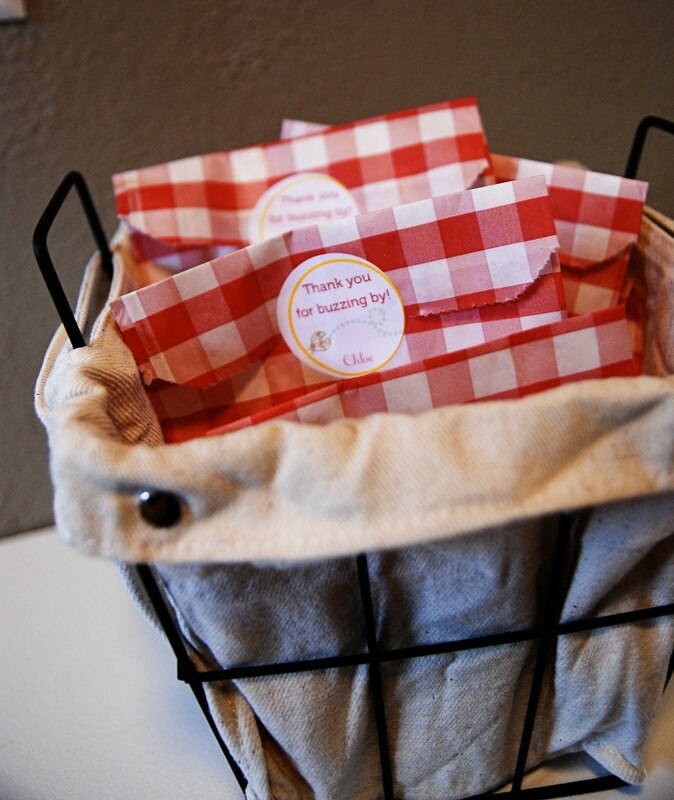 And guests got to take home a little treat too, scones in gingham bags. And for my friends in the Greater Toronto Area, I have some leftover/reusable party decorations I'd hate to go to waste. 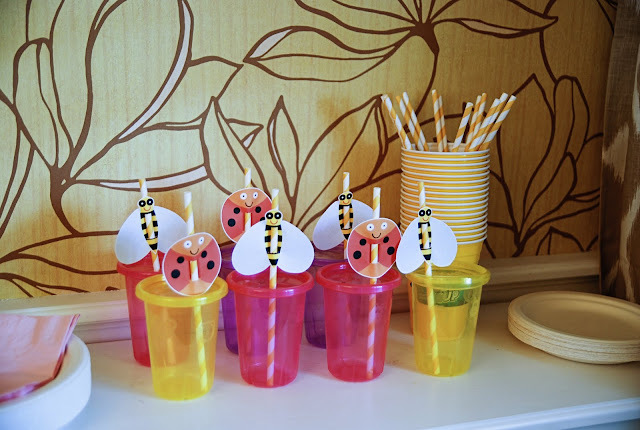 There's some edible sugar ladybugs (good for at least the next three months), straw toppers, some DIY and store-bought felt headbands, a Happy Birthday banner, and ladybug decor. 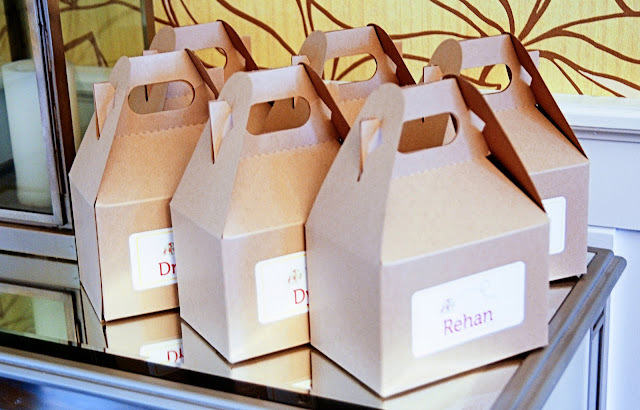 Its like a bug birthday in a box! 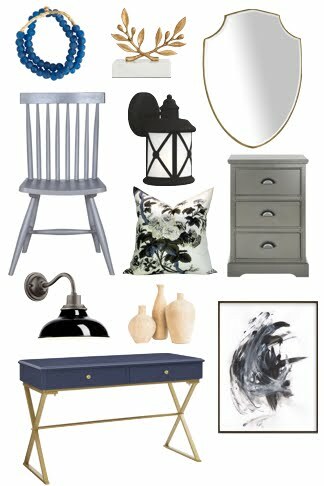 If you're interested, write to me at ramblingrenovators@gmail.com. First person to email gets it. Pick up only please. I love the colorful ladybugs you used in the shadow box frame. Could you tell me where they are from? I would like to recreate your frame with my daughter's first Halloween photo (we were ladybugs :) Gorgeous party!! Thanks so much! 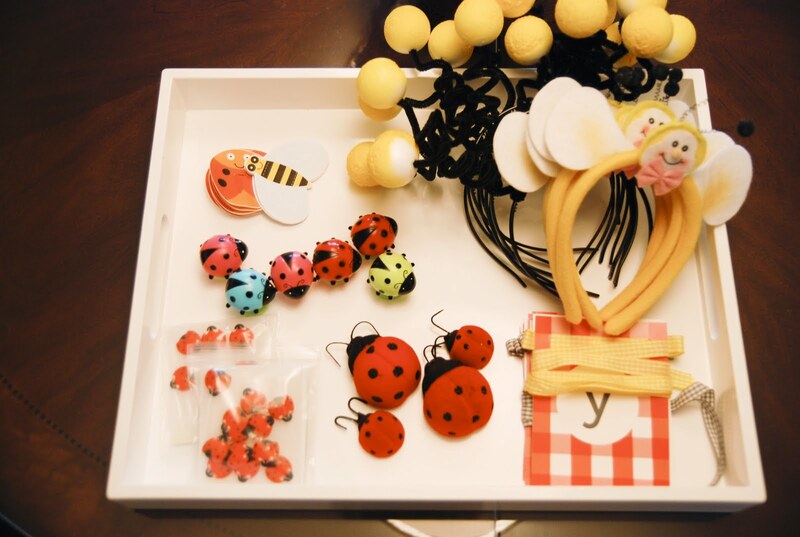 I bought the ladybugs at the local dollar store but I think you might be able to buy some on Etsy?